Beloeil, Belgium (4-04-2C-6), 2004. Chromogenic Print. Available at 19 x 19 and 28 x 28 inches, edition of 15, or 38 x 38 inches, edition of 6. Damme, Belgium (4-04-8c-2), 2004. Chromogenic Print. Available at 19 x 19 and 28 x 28 inches, edition of 15, or 38 x 38 inches, edition of 6. Beloeil, Belgium (4-04-26c-9), 2004. Chromogenic Print. Available at 19 x 19 and 28 x 28 inches, edition of 15, or 38 x 38 inches, edition of 6. Parc de Jeurre, Morigny-Champigny, France (4-99-2c-2), 1999. Chromogenic Print. Available at 19 x 19 and 28 x 28 inches, edition of 15, or 38 x 38 inches, edition of 6. Parc de Bagatelle, France (5-95-2c-8), 1995. Chromogenic Print. Available at 19 x 19 and 28 x 28 inches, edition of 15, or 38 x 38 inches, edition of 6. Bernheim Arboretum, Kentucky (4-08-24c-8), 2008. Chromogenic Print. Available at 19 x 19 and 28 x 28 inches, edition of 15, or 38 x 38 inches, edition of 6. Berheim Aboretum, Kentucky (4-08-15c-4), 2008. Chromogenic Print. Available at 19 x 19 and 28 x 28 inches, edition of 15, or 38 x 38 inches, edition of 6. Andalucia, Spain (3-02-34c-12), 2002. Chromogenic Print. Available at 19 x 19 and 28 x 28 inches, edition of 15, or 38 x 38 inches, edition of 6. Parc de Canon, near Caen, France (5-95-48c-10), 1995. Chromogenic Print. Available at 19 x 19 and 28 x 28 inches, edition of 15, or 38 x 38 inches, edition of 6. Beloeil, Belgium (4-04-26c-10), 2004. Chromogenic Print. Available at 19 x 19 and 28 x 28 inches, edition of 15, or 38 x 38 inches, edition of 6. 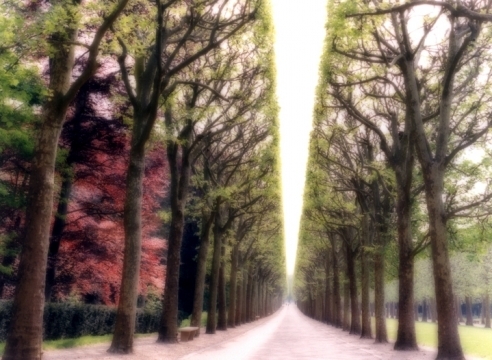 Parc de Sceaux, Paris, France (10-97-7c-8), 2004. Chromogenic Print. Available at 19 x 19 and 28 x 28 inches, edition of 15, or 38 x 38 inches, edition of 6. Damme, Belgium (4-92-46-11), 1992. Gelatin Silver Print. Available at 19 x 19 and 25 x 25 inches, edition of 15, or 38 x 38 inches, edition of 6. Damme, Belgium (4-92-140-7), 1992. Gelatin Silver Print. Available at 19 x 19 and 25 x 25 inches, edition of 15, or 38 x 38 inches, edition of 6. 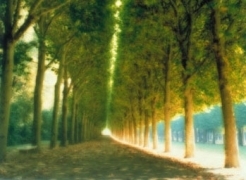 Parc de Jeurre, Etampes, France (4-99-45-12 #10), 1999. Gelatin Silver Print. Available at 19 x 19 and 25 x 25 inches, edition of 15, or 38 x 38 inches, edition of 6. Damme, Belgium (6-95-20-2), 1995. Gelatin Silver Print. Available at 19 x 19 and 25 x 25 inches, edition of 15, or 38 x 38 inches, edition of 6. Versailles, France (4-92-179-2), 1992. Gelatin Silver Print. Available at 19 x 19 and 25 x 25 inches, edition of 15, or 38 x 38 inches, edition of 6. Versailles, France (4-99-3-2), 1999. Gelatin Silver Print. Available at 19 x 19 and 25 x 25 inches, edition of 15, or 38 x 38 inches, edition of 6.